What’s Up, Wisconsin? : Is the Koch-Funded Americans for Prosperity Playing Dirty Tricks with Voters in the Badger State? It appears that Americans for Prosperity, a group co-founded by the Koch Brothers, may be involved in voter shenanigans in Wisconsin. According to David Catanese at Politico, AFP “is sending absentee ballots to Democrats in at least two Wisconsin state Senate recall districts with instructions to return the paperwork after the election date.” Think Progress has reported that the AFP mailer isn’t actually a ballot but a “form letter that looks like a normal absentee ballot application.” The Absentee Ballot Processing Center that is printed on the last page of the AFP mailer is actually registered to a right-wing advocacy group called Wisconsin Family Action PAC—and not to an actual processing center or election board. Yesterday, David Bice wrote in the Milwaukee Journal Sentinel that Matt Seaholm, who is the state director of Americans for Prosperity, blamed the mistake on a typo and claimed that his group was not trying to mislead anyone. Click here to see the Americans for Prosperity “absentee ballot” fliers. Click here to see copies of the complaints obtained by No Quarter. 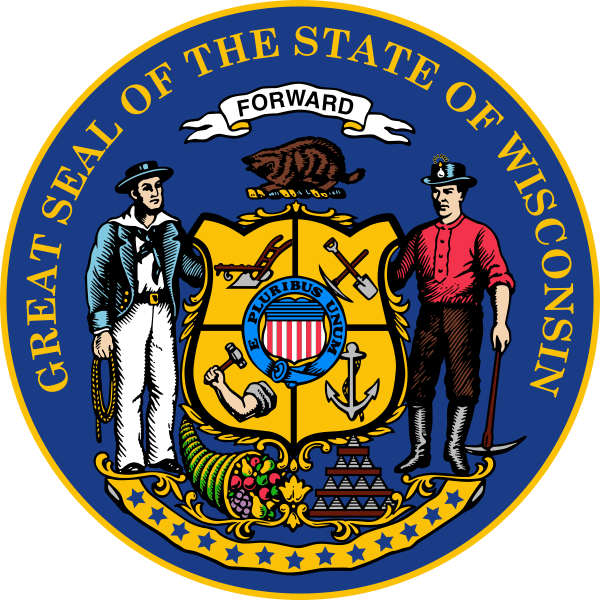 WASHINGTON — Three progressive groups are set to launch a six-figure television ad buy in the days leading up to the eight remaining Wisconsin state Senate recall elections. Democracy for America, the Progressive Change Campaign Committee and MoveOn.org have spent a combined $265,000 on ads that will run in three major markets before the Aug. 9 Republican recall elections and the Aug. 16 Democratic recall elections. Two of the groups, PCCC and DFA, have now spent a total of $500,000 on the final three weeks of the recalls. The buy will include an ad against Senator Alberta Darling, a Republican who represents the 8th District. It will also help keep on air two previously released ads — one targeting Darling for her position on Medicare and another targeting District 14 candidate Luther Olsen (R) that will run in Green Bay and Madison. It must be the voices then, HenMan. I thought for a moment that I heard a mosquito buzzing in my ear. No, I guess not. @HenMan, you seem to be speacking from experience. Is that what affected your thought processes for the worse? I would think that the Koch Brothers and their friends would be confident that their superior ideas would be enough to convince voters to see it their way. I guess I was wrong! Did Koch Group Team Up With Religious Right to Suppress Wisconsin Vote? Remember when the Tea Party movement was supposed to be just all about the size of government, and not about those pesky “social” issues? Mark Block, Seaholm’s predecessor at the helm of AFP-Wisconsin admitted to the Journal Sentinel, after an initial denial, that AFP had sent the mailers. However, the scheme was abandoned, he said, when the group received too few returned flyers. The 2010 midterm election campaign — which resulted in the election of Scott Walker to the governor’s mansion, two Wisconsin Tea Party freshmen to Congress, and the unseating of U.S. Sen. Russ Feingold by the AFP-supported plastics magnate Ron Johnson — all saw a Koch-linked program, Prosperity 101, in full swing in Wisconsin workplaces, where at the behest of their employers, workers gathered for seminars on how policies typically embraced by Democrats could ultimately cost them their jobs. (AlterNet’s investigation of Prosperity 101, conducted and published in partnership with The Investigative Fund at The Nation Institute, can be found here.) Many of the seminars were fronted by Stephen Moore, an editorial board member of Rupert Murdoch’s Wall Street Journal. Thanks for the link, Elaine M.
You should show your love for the Koch Bros. by getting a job in one of their non-union super safe coal mines. P.S.- When the canary dies, run like hell! You should called a strike. That would have showed you. What government checks? I was a small business owner and I was my only employee. No, the truth of the matter is that it’s a hot Tuesday evening and my neighbors and I were sitting on the veranda and someone suggested we go on line and check out the trolls. I lost by the way ’cause my money was on “tin foil hat”. Blousie, you seem in much better spirits now that you know your government checks are safe again. To each according to their needs.